Following the successful relaunch last year, Tendence will again be presenting itself as the first international novelty event for the second half of the year in 2018, giving an outlook on the trends for the coming spring and summer. It will take place this year from June 30 to July 3, 2018. As a platform for the new, surprising, original and creative, it shows trends and design ideas around the themes of living and giving. The renowned design competition FORM – Form from trade and industry, which Messe Frankfurt has traditionally organized together with the Federal Association of Arts and Crafts to Tendence, offers the exhibiting companies an additional opportunity to present their products to trade fair visitors and the press. As an exhibitor of Tendence 2018, Bundesverband Kunsthandwerk would like to cordially invite you to participate in the competition. You can submit up to five of your current products, including up to two product lines. All product groups from Tendence’s entire range are admitted. Take the chance and sign up. Here you can download the registration form for the contest FORM 2018. FORM 2018 will be shown in an exhibition in Hall 9.0 during Tendence from June 30 to July 3, 2018. Producers and designers whose products are selected for the exhibition of the competition work receive the FORM award. It is an established label and is considered one of the major German design awards. 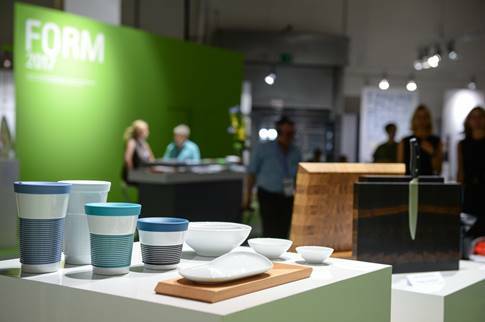 It provides specialist buyers and the press with information about new products and products with high design standards from well-known exhibitors and companies represented for the first time at the fair. In addition to a certificate, each of the selected companies receives a digital key visual and logo of the FORM competition for its own product advertising, which can also be used for marketing after the trade fair. The detailed conditions of participation, the composition of the jury and their decision criteria can be found on the registration form. Find out more about the jury members here. Please e-mail the filled-in registration form to the organizer of the competition by June 4, 2018 together with photos : info@bundesverband-kunsthandwerk.de . After receiving your registration you will receive a confirmation of receipt as well as the shipping label for the submission of your products to Messe Frankfurt Exhibition GmbH. Please do not send any registered products to the Bundesverband Kunsthandwerk.